Is your iPhone XS Max screen is unresponsive or iPhone XS Max screen in not working or iPhone XS Max screen is taking slow to respond? Today you will get solution to each and every issue related to screen of iPhone XS Max. Don’t afraid because you are not only the one who has screen issues in iPhone XS Max. Many of them had fixed by following this troubleshooting guide including myself. Alternatively when you turn on Low Power Mode in iPhone XS Max, the screen takes too long to respond. So this can also be the reason behind iPhone XS Max screen is unresponsive. Follow the tutorial and get fix the screen not working in iPhone XS Max. After removing the screen protector still, the iPhone XS Max screen is not working then force restart the iPhone to fix minor glitches. Some of the users are afraid to update their devices because they think new update will slow down the device and iPhone XS Max screen malfunction. But it is not true, the updates are meant to improve the performance of the iPhone, and so you must update the device. Step #2: Tap “General” and select “Software Update”. In case the iPhone XS Max screen is completely unresponsive then try to update the iPhone using iTunes. Step #3: Select your iPhone. Step #4: Now, click on “Summary” and lastly select “Check for Update”. Step #5: Click “Download” and then “Update” it. Precisely you can also toggle Off/On 3D touch because it had worked out for me when my iPhone XS Max screen is not working. Step #2: Tap “General” and select “Accessibility”. Step #3: Locate “3D Touch”. Step #4: Toggle Off/On the 3D Touch. 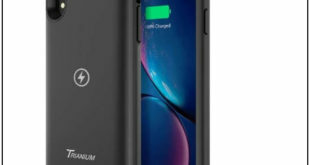 Often in case, we buy the thick screen protectors or anti-glare protectors, and they cause the problems like iPhone XS max screen not responding randomly. So before performing any troubleshooting, please remove the screen protector and check whether the screen is working or not. Recovery mode is helpful when it is hardware related problem, so here also we can try our luck to fix the issue using recovery mode. Step #1: Connect the iPhone to the Computer. Step #3: Press and release the Volume Up button. Step #4: Press and release the Volume Down button. Step #5: Next, hold down the Power button until recovery mode screen appears on iPhone. Step #6: Don’t leave the button until and unless the recovery screen doesn’t appear. Step #7: Lastly, when iTunes shows you a message like “There is a problem with the iPhone that requires an update”, then click on “Update”. NOTE: In case your iPhone takes over 15 minutes then you have to follow the same steps because your iPhone is exited the recovery mode. 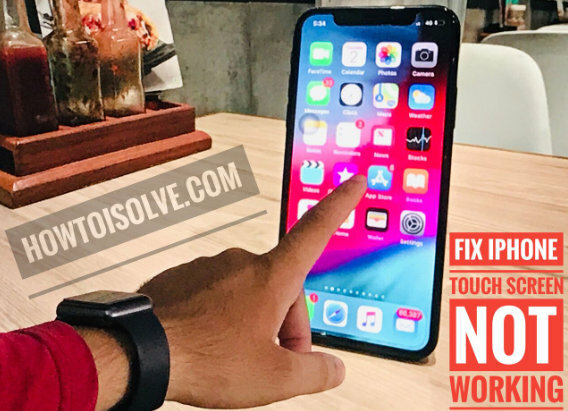 Recovery mode is unable to fix iPhone XS Max screen not working then you can try this fix. With this solution, your iPhone will become clean slate, and all the settings will restore to factory settings. So take a backup before restoring the iPhone to its factory settings. Step #4: Click on the “Summary” panel. Step #5: Now, click on “Backup Now”. Step #4: Now disable “Find My iPhone”. Step #1: Connect the iPhone XS Max to Computer or Mac. Step #2: Open “iTunes” and select your iPhone. Step #3: Click on the “Summary” tab. Step #4: Lastly, click on “Restore iPhone”. Step #5: If required then enter the passcode and proceed. If it is caused by the broken screen, you need to replace a new iPhone XS Max screen in Apple Store, the third-party store or DIY repair.